Personal referrals are a good place to start when looking for plumbers. Speak to family or friends to see if they would know of a good company for providing service in Oklahoma city that will do a good job at a reasonable price. Ask them questions like, did they show up when they said they would? Did they come with right tools to enable them to fix the issues? Did the they clean up after they finished? Were they good listeners? Did they find the solution to your problem? Do an online search for any plumbers in your area. 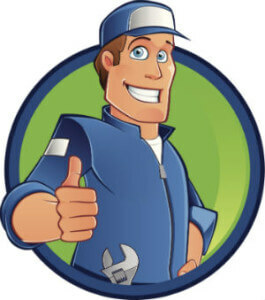 A plumber who is serious should have a website that loads quickly, looks professional and is simple to use. The site will have all the information needed about them and any client testimonials. If you don’t have any luck, contact your plumbing supply store. Because they deal with the techs every day, they could recommend a trustworthy and reliable one within your region. Contact the city water department. They should have tips for you to consider when choosing a reputable company. Once you have decided on a which one, talk to them before giving them a job. You will get an idea if they are experienced or not. Ask for references. A qualified company will always be happy to provide any references for their work. Also, ask to see a license. Check their authenticity, or if in doubt, contact the city for assistance. They should be registered with this the city. Don’t be hasty when deciding, and should someone comes knocking on your door offering their services, be wary. A good contractor doesn’t ever have to knock on doors to get business. It may be someone very dodgy. Be sure and pick one on your terms, not theirs. Always look for a one who guarantees their work, and ask about prices also.